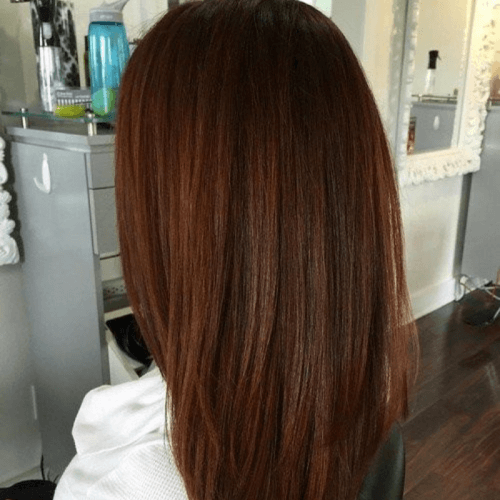 We are crazy in love with auburn hair color! This shade is timeless, classy and a dream come true for women seeking a natural look. It has heaps of advantages, from complementing all skin tones to flattering various eye colors. Even more so, there are plenty of hues that spring from auburn that you’ll certainly enjoy. Here are some of our favorite eyes for rocking this brilliant hair color. First things first – Emma Stone is the absolute queen of auburn hair color. Ever since she made her debut in acting, she has rocked tons of related tones that all start from auburn, including this lovely light shade. Needless to say, she looked amazing every time. If you want a more down to earth approach to your auburn locks, we recommend toning down to a browner shade. In this example, you can see how the color leans towards chocolate, with just a touch of auburn that brings it to life. 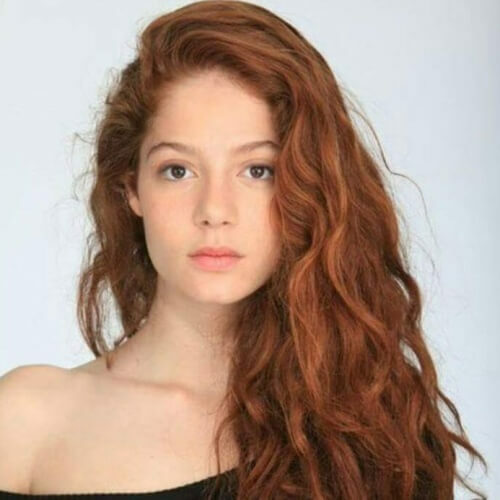 Our second celebrity muse for auburn hair color is Jenna Thiam, with her gorgeous ginger curls. 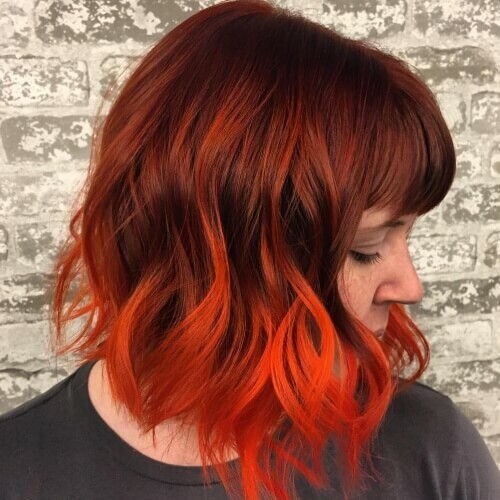 This spicier tone of auburn is ideal for women with pale skin searching for a natural redhead kind of look, regardless if they have freckles too or not. 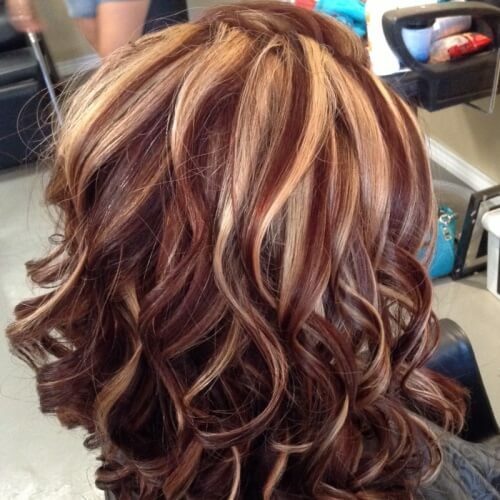 Ladies who want to make a bold appearance can always mix their auburn hair with other flashier colors. For instance, you can add a platinum blonde coat on a dark auburn base. The contrast is also highly eye-catching. Julia Snigir is another excellent source of inspiration for auburn hair, especially for a darker and more intense approach. 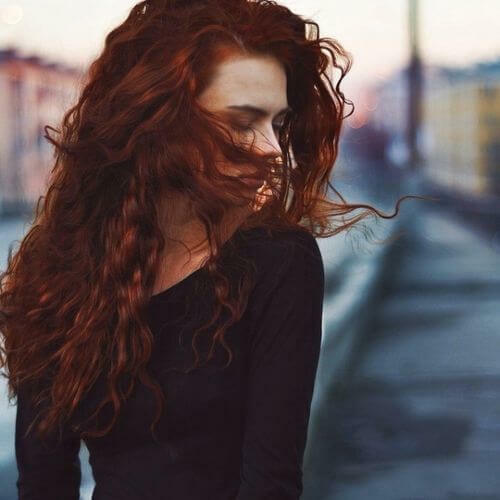 What makes her auburn waves even more special is the rich red tint that makes her locks glow all around. 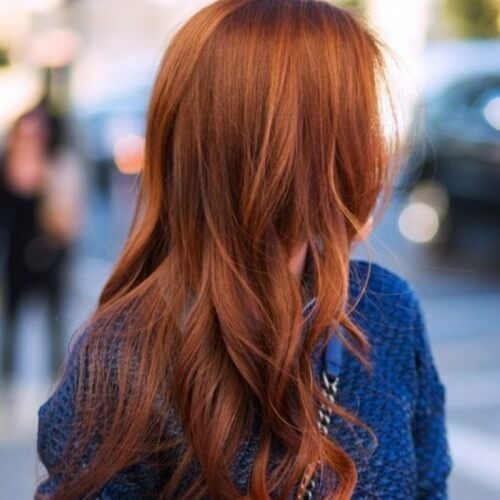 Another way to get that natural outcome with your auburn color is to focus on a chestnut hue. In addition to the primarily brown base, the hair is sun kissed with a few light copper highlights to make the whole hairstyle pop. If you have any doubts about styling your hair to bring out your auburn, you can leave them at the doorstep. 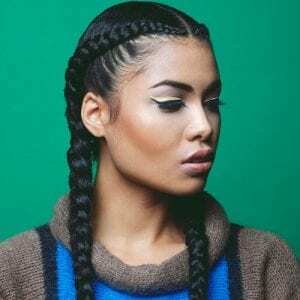 Thanks to the fantastic world of braids, you can weave your way to perfection all while accentuating any discrete tones throughout your hair. Until now, we’ve covered mostly women with straight or wavy auburn locks. But how about curly gals? This stunning shot of Renee Mittelstaedt proves that curls and auburn hair color go breathtakingly hand in hand. A great deal of women out there seek balance in all they do, from their outfits, to their makeup and, ultimately, hair color choice. For refined tastes, the best option is a medium auburn tone that shines while remaining superbly subtle. What if you just want a touch of auburn through your hair? Well, one way to do it in an out of the box manner is to get just your tips done. 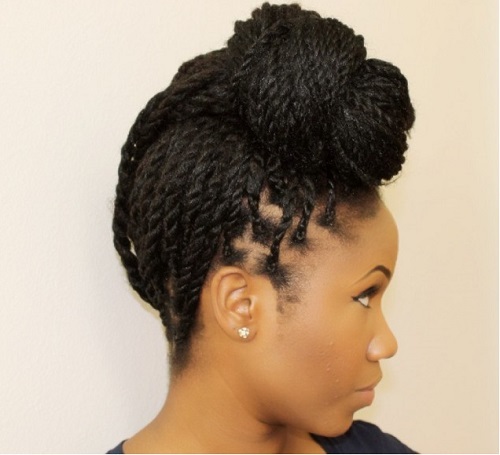 This is especially flattering for women with naturally black hair. On the other hand, you can always play around with some highlights on this delicious color. In this example, the base color is auburn, while the honey blonde wispy highlights contribute to super sweet results. If “Lady in Red” is your middle name, you will fall in love with this look. 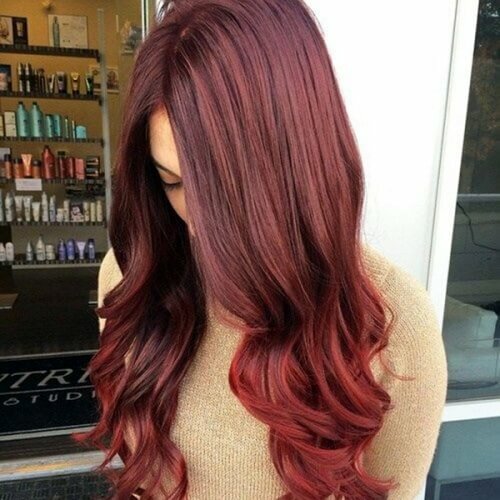 This version of auburn hair color is bursting with red, in the prettiest way possible. Don’t be afraid to rock it with cherry red lipstick to become the center of attention. 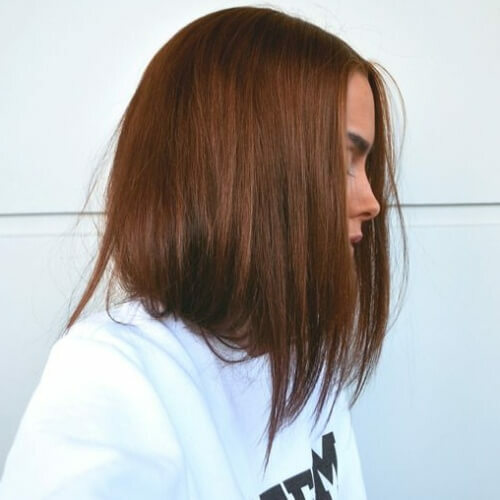 Go back to your roots with this subtle auburn tint on a cocoa brown base. Essentially, the hair color is vivid brown that has just a taint of red almost unnoticeable for the untrained eye. However, women with a strong sense of detail will adore it. Instead of getting highlights, you can always enjoy a discrete glossy effect with lowlights. Feel free to apply either copper lowlights on a dark auburn base or auburn lowlights on deep brown or even black. Now this is a dazzling way to show off auburn strands. 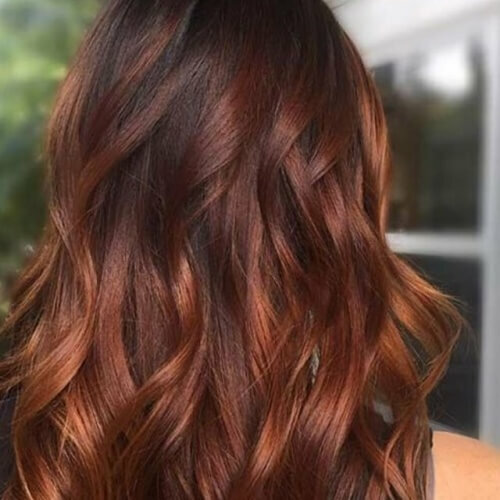 In this look, two different shades of auburn hair color are mixed for a picture-perfect ombre. 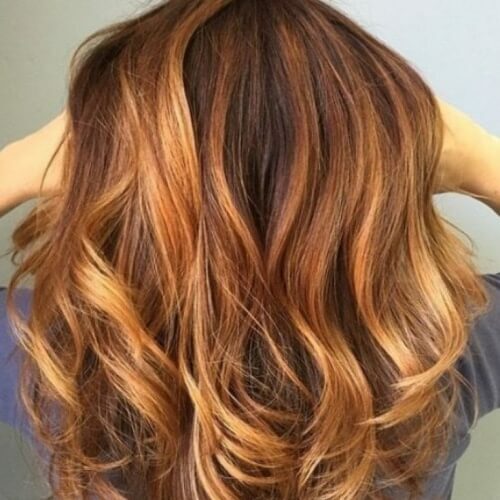 The top part is a brunette version of auburn, while the gradient blends into a brighter alternative. How about adding a pinch of mauve in your auburn locks? 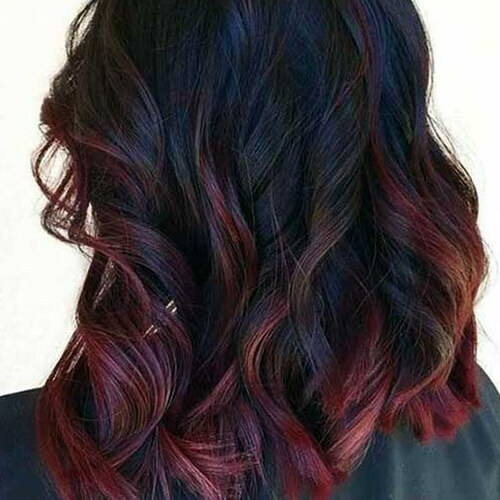 This is a sublime combination of a black base, with tints of dark auburn mixed with plum all over. It’s particularly recommended for women with long hair, so you can appreciate the coloring. 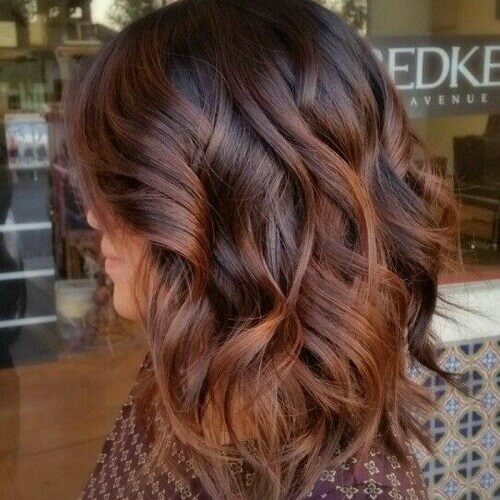 If you’re not into the sharp gradient that comes with ombre, you can go for a smooth transition with balayage. 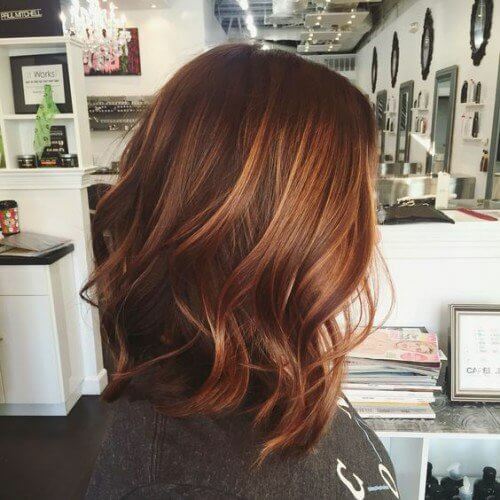 We adore the auburn brown melt in this example, and how it reminds us of our favorite coffee cocktails. Hands down, this is the closest version to a natural redhead you can get with auburn hair color. Of course, the look is enhanced by the freckles and blue eye color, but you can get pretty close if you choose this spicy hair color. Don’t forget the brows! Prepping for summer or just want more sunshine in your life? 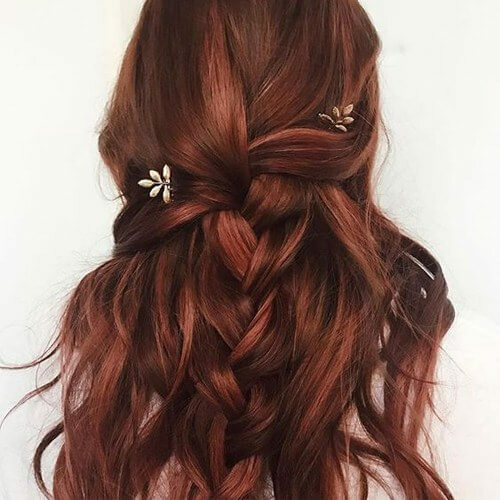 No need to fear, light auburn accents are here! You can make any regular brown base memorable simply by adding these copper-like streaks. This example serves as double inspiration for coloring and haircuts. Firstly, you can appreciate the enchanting deep auburn base with a few frontal highlights. 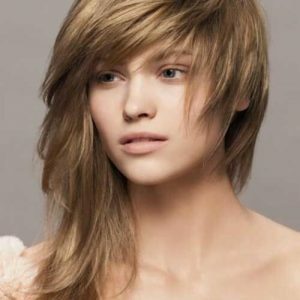 After that, don’t hesitate to let yourself get inspired by the stylish bob haircut. If you have bangs, you can count on auburn for enhancing them. 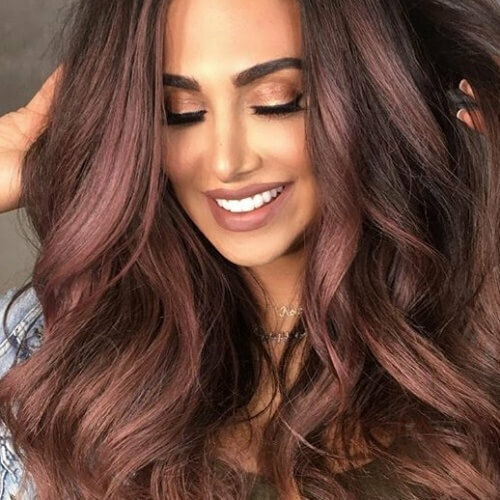 One of the beauties of this hair color is that it looks spectacular on hair of any length, with or without bangs, and of any texture or thickness. 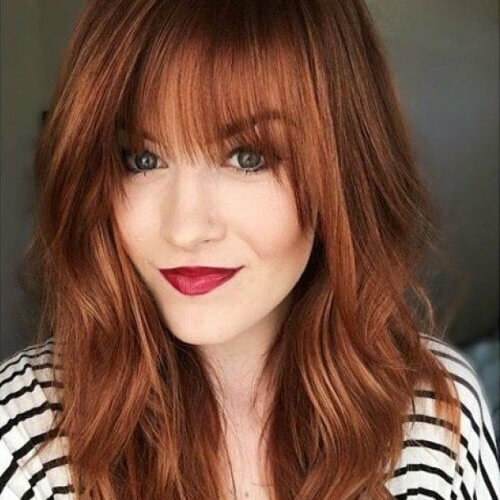 This is the brighter version of the natural redhead look with auburn. It’s great that the ginger girl effect is still full-fledged, but it just draws more attention. Ginger auburn is the perfect solution for ladies with outgoing personalities. 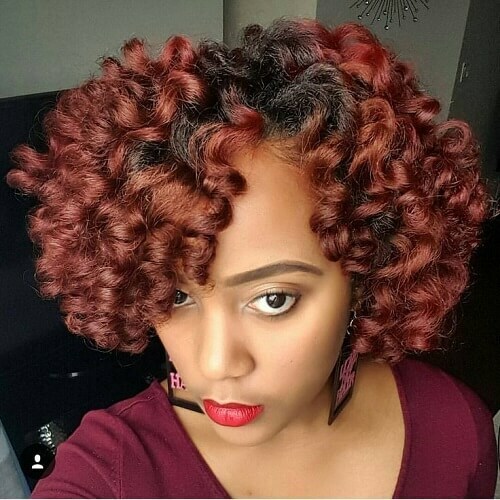 We adore this hair color for the vibrant chocolate tone it glows with. Like a few other auburn hair color options on our list, it has the slightest dash of red in it. In the end, this is the true icing on the cake. If you haven’t heard of rose gold by now, you have been missing out on one of the hottest hair trends of all this year. The version presented here has a bit of auburn in the base and a dark pastel pink glow all around. Debby Ryan can usually be spotted with strawberry blonde locks, but we are totally digging her affair with auburn. This shot shows how women with hazel eyes and a creamy complexion can be radiant with dark auburn. Another spicy take on auburn is all about that cinnamon hue. It’s definitely another favorite for women going for that femme fatale look accentuated by natural ginger locks. It’s a must-have for ladies with fair skin and light eyes. Speaking of hazel eyes, dark auburn is simply perfect for complementing them. The fact that this eye color swings from brown, to green, to yellow and back again makes it utterly jaw-dropping against a deep red hair color. 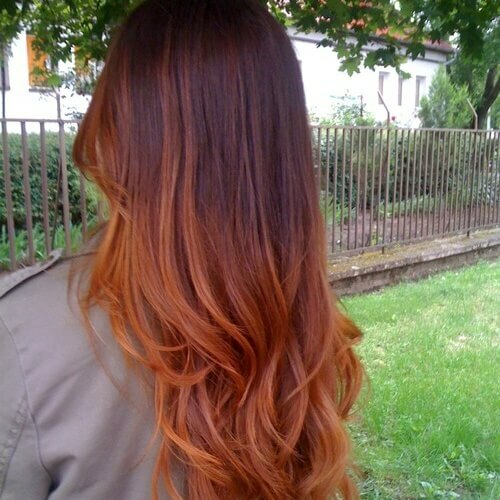 If you’re up for the ombre idea, you can choose auburn as your secondary color. In this example, you can see how reddish brown is used for the lower half, with a deep raven top. It certainly has our approval. We’ve mentioned rose gold and strawberry blonde as lighter and pinker alternatives for basic auburn. Nevertheless, do not underestimate the impact of a champagne auburn approach to your new hair color. 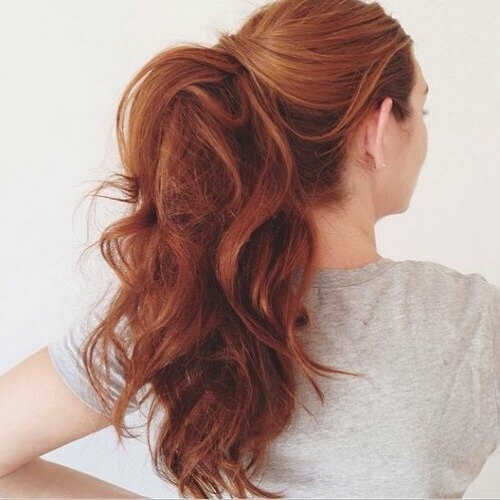 If you don’t have time for braids or fancy updos, you can rely on a high ponytail for flaunting your auburn locks. We warmly encourage you to go for this easy styling method if you have wavy or curly hair in particular. By contrast, your auburn can be the base color for your ombre. For a bright and shiny appearance, think about using a visibly lighter color for the gradient. You can never go wrong with honey blonde, just so you know. Ah, Julianne Moore, can you be any more beautiful? The phenomenal actress proves time and time again that very pale skin is the ideal palette for vivid auburn. The subtle undertones are a nice perk for the head-turning outcome. As you most likely have noticed by now, copper is auburn’s best friend. 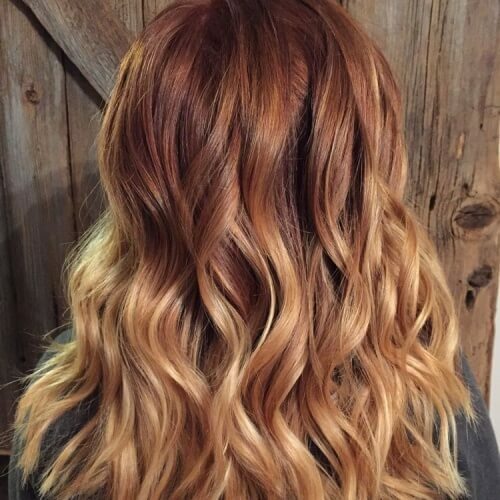 If you don’t want to use this lighter shade for highlights, ombre or balayage with your auburn locks, you can use it for a discrete tint that will make the entire difference. Girls, brace yourselves – this auburn alternative is to die for. 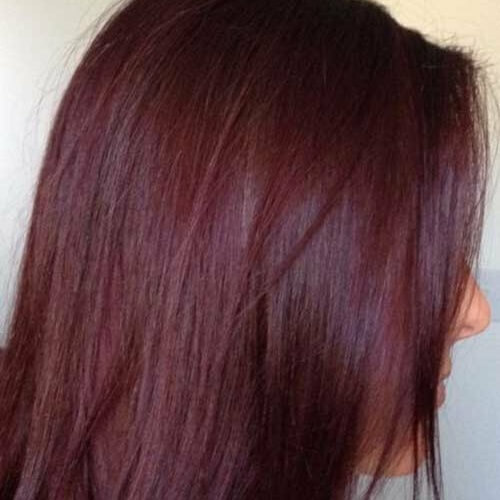 We can’t describe it any better than “wine auburn”, for the exceptional ruby tint. 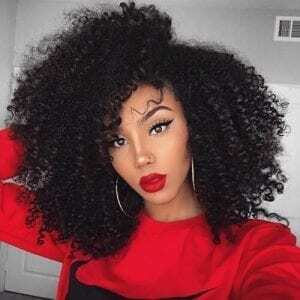 Don’t hesitate to consider it for any hair texture or length. Up for the colored tips idea, but not drawn to the ordinary? Go wild with fiery orange tips on your auburn base. It’s a magnificent idea for women who are brave, bold and not afraid to show their true colors. Welcome back, Emma Stone! To be honest, we could have easily compiled this list only with the beloved actress’ showcases of auburn. 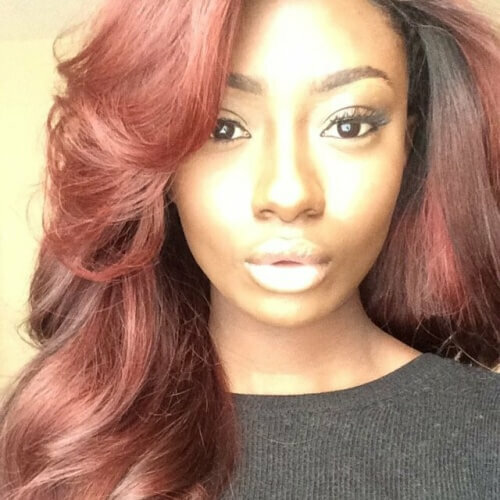 Nonetheless, this ash blonde and auburn highlights combo has left us speechless. 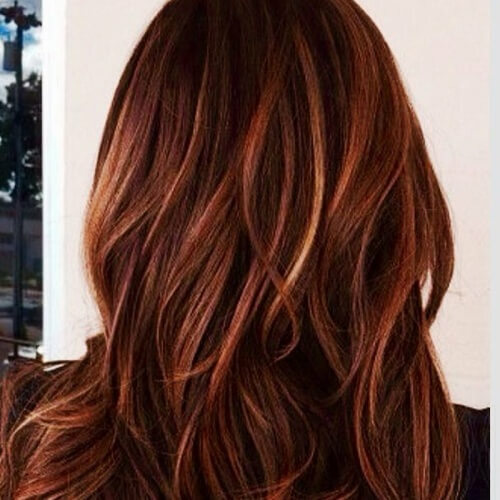 Another daring way to sport your auburn hair is to sprinkle chunky caramel highlights all over. These streaks truly make the base color come to life, and they’re ravishing for rebellious women. Who ever thought that the idea of rust could be so extraordinary? This is, by far, one of the richest shades of auburn we have laid our eyes on. The discrete rust tint makes it remarkable, to say the least. While numerous women with pale skin rock auburn, ladies with darker skin tones looks just as wonderful with it (if not more)! The main reason is that auburn brings out deeper skin tones, and definitely vice versa. 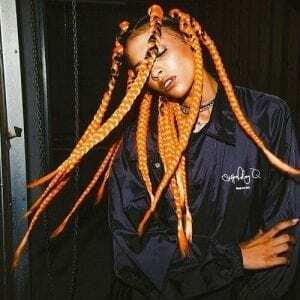 Looking for a cute hairstyle to show off your auburn strands? This half up boho braid will make your heart melt. Even more so, the small metal leaf accessories are the most delicious cherry on top you could wish for. 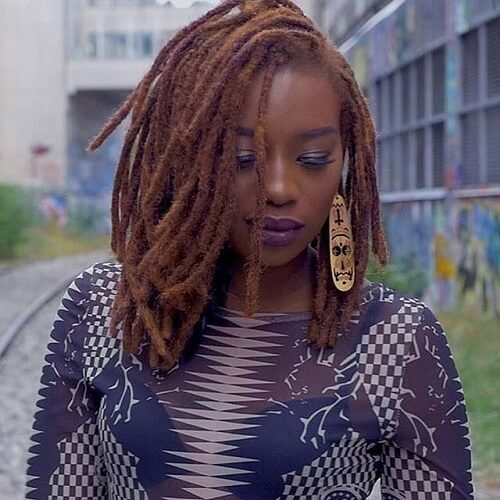 Locs or other African braid styles look absolutely exquisite in auburn. As you can easily see in this photo, our claim of beautifully dark skin and auburn going perfectly together is more than obvious. A heart of gold deserves a graceful that mirrors this quality. For this, we invite you to feast your eyes on this golden auburn tone. It’s delicate, lavish, sleek and basically any other quality you could ever hope for in a hair color. Copper is back again, making auburn look as fabulous as ever. In this sample, copper is used just to accentuate the vivid auburn base. 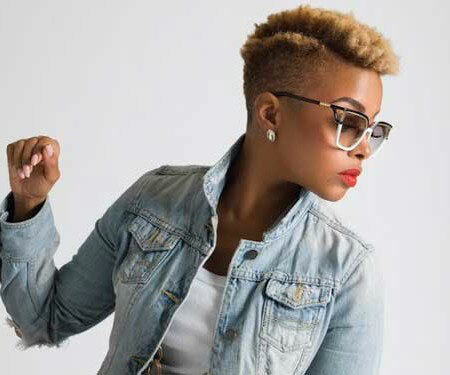 If you want this look, we encourage you to work with an expert stylist for your desired results. 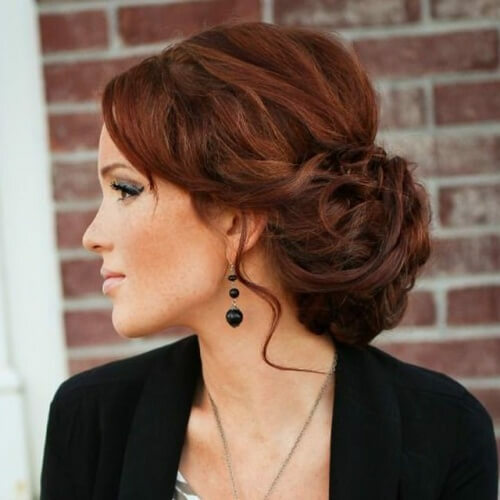 If you have long auburn locks, a splendid updo is just what you need to emphasize them. Whether you opt for a messy bun or a sweeping chignon like in the photo above, we guarantee that your color will be admired appropriately. 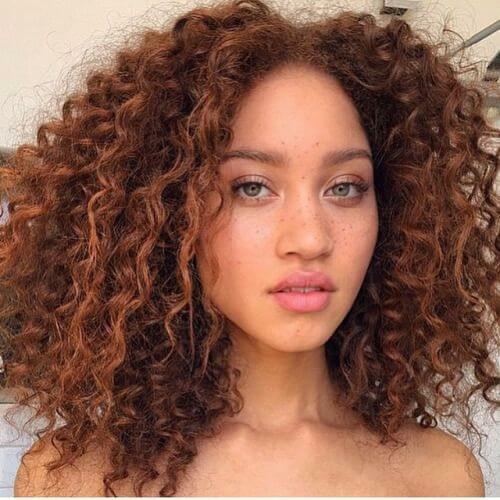 Naturally curly hair looks even more charming in auburn with an added contrast. 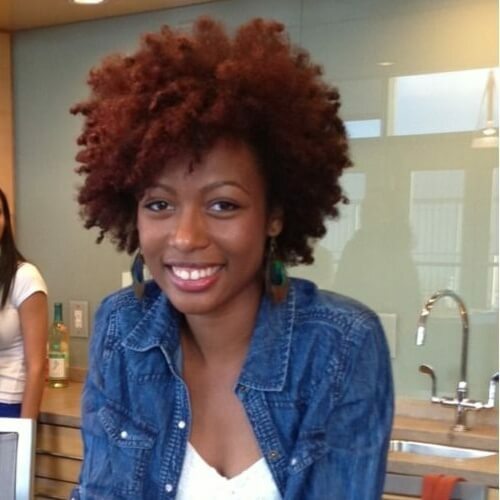 For instance, you can keep your roots in your natural color and use auburn just for the corkscrew curls part. If you’re not sure whether to choose ombre or balayage, you can go for a coloring technique that rests comfortably in between. As for your color choice, we recommend picking two shades of auburn that are as similar as possible. Yet another braid that’s perfect for boasting your all naturel auburn is a crown braid. Also known as a tiara braid, this hairstyle is based on creating a braid just on the crown of your head for a fairytale-like outcome. Would you rather focus on the back? 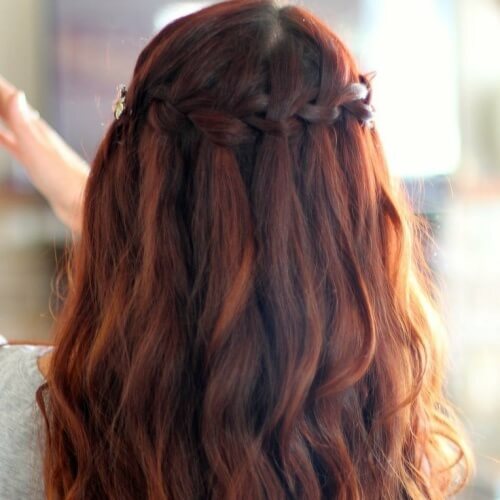 A waterfall braid is just what you need. It’s like a crown/ tiara braid, just that it is braided on the back of your head, with vertical strands weaved in the horizontal braid. 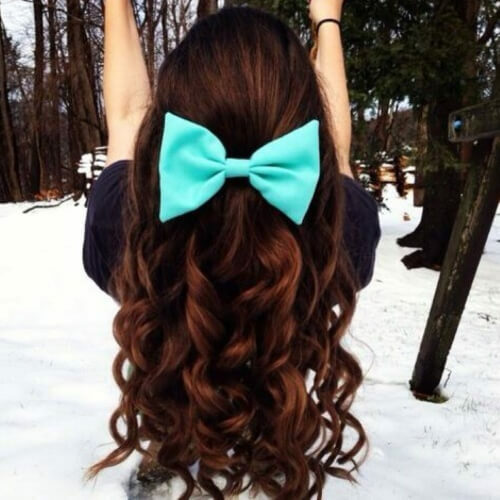 What better way to enhance your hair color than with the right accessories? The golden rule to nailing this combo is to choose an accessory that contrasts with your hair color, i.e. baby blue for dark auburn. 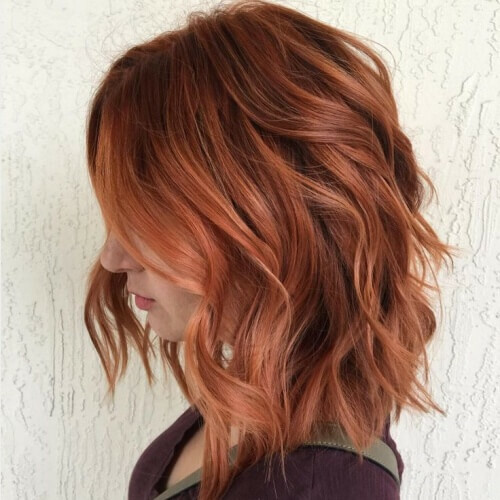 Lastly, we’ll wrap our pick of the crop up with a light auburn tone that’s filled with peachy delight. It also falls under the rose gold category, with a dark base that makes the whole look nothing less than alluring. To sum everything up, auburn hair color should be among your final choices if you want an all naturel appearance. As you have found out, it’s appropriate for any situation, whether it be professional or personal. In addition, it’s a generous choice when it comes to similar tones. When choosing your perfect shade of auburn, consider your natural features and how this hue will accentuate them. Have fun!